From finding out whether a circuit is live or dead to assessing the safety of portable appliances, there are countless reasons why you might be interested in purchasing electrical test equipment. Not only do these devices ensure that the user stays free from harm, they can also provide essential protection for other people such as fellow employees or members of the public too. 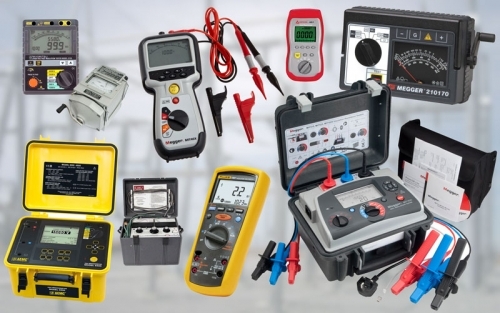 But what are some of the most popular electrical test equipment devices currently available? Here to explain is Instrotech, a leading distributor of electrical and environmental test equipment with over 30 years of industry experience. Although these devices have a comprehensive set of capabilities, multifunction testers are usually incredibly straightforward to use and can be carried around with the greatest of ease due to their compact form. In addition to performing basic tests for certification purposes, such as 17th Edition testing, higher specification models can also carry out power analysis, earth resistivity, and phase rotation. Simple/low cost PAT testers – Providing basic functionality with a pass/fail indication but also the ability to print out results. Downloading PAT testers – Much more advanced and typically available with accompanying software for digital records. When carrying out work on electrical circuits, safe isolation devices such as voltage detectors can prevent the user suffering a serious or fatal injury. By using a dedicated lock out device as well as a two-pole voltage indicator, the user can be certain that the circuit is dead and won’t be a potential hazard. These are designed to clamp around a conductor in order to produce a measurement of current. Basic clamps will only measure AC, while more expensive options can be used for DC or both. In recent years, clamps using rogowski coil principles have become more popular, as they are flexible enough to be threaded around difficult to access and larger conductors. Basic multimeters are used for taking voltage and current measurements along with continuity testing, whereas more expensive models feature increased ranges of voltage and current measurement as well as the ability to display True RMS readings. Bear in mind that the accuracy, price, and capabilities of multimeters vary enormously. These cover a variety of different uses and are often manufactured with specific applications in mind, such as oil test sets. Devices include high voltage indicators, live line testers, high voltage insulation testers and current injection test sets. While not directly concerned with electrical testing, the following devices are often used in the same industries or for similar applications. For more information about any of this popular electrical test equipment, get in touch with Instrotech today.